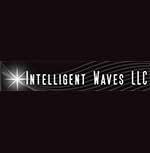 Intelligent Waves, a rapidly growing Service Disabled Veteran Owned Small Business has an immediate need for a Technical Writer to support our mission critical work in support of our government customer. Researches, analyses, designs, develops, writes, edits, and publishes documentation for Technical applications, products, training and services. Should possess facility with technology, ability to write clearly, talent in showing ideas graphically, patience in problem solving/troubleshooting and ability to interact with SME. Will also have experience in coordinating entire projects and managing workflow and teams. Conducts and/or assists in documentation planning, including preparing plans, defining audience, performing task analysis, recommending deliverable formats, and establishing project schedules. Responsible for writing operational, instructional, maintenance, engineering processes and/or specifications for paper, multimedia, or web-based publication that conforms to corporate style guide and quality assurance standards. Conducts tests and solicits feedback to ensure the clarity, completeness, technical accuracy, and quality of the documents produced. Must have experience in explaining highly technical data and information in simplistic grade school language for end users of complex IT systems and projects. Must be able to use a variety of word processing, spreadsheet, graphics and scheduling tools. Must have experience in being able to gather and convert data into a written narrative.